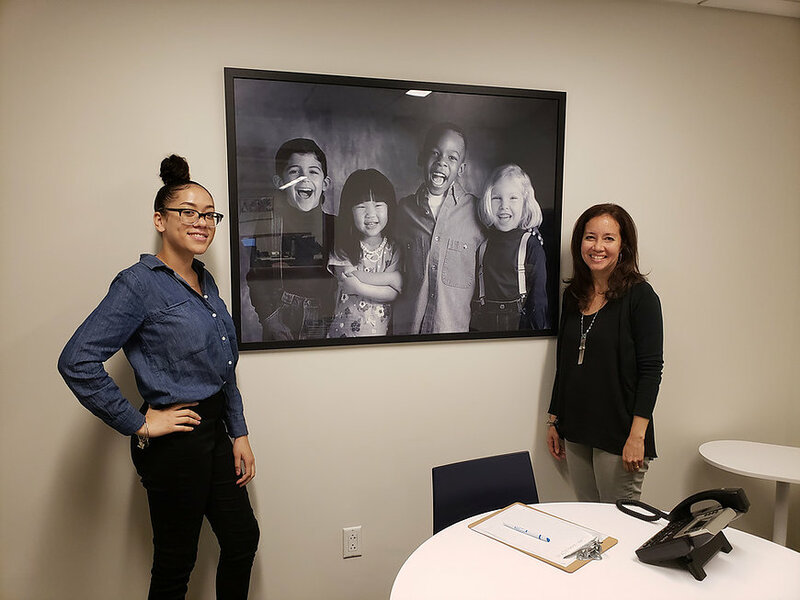 Jakira, a rising senior Communications major at St. Francis College, has been spending her Summer interning with the Children’s Defense Fund – New York team! During her time there, she has been working on a host of different projects surrounding the social media and advertising for the CDF. Here are the highlights of her experience so far! Jakira, whose long-term goals include advertising and media marketing, has had the opportunity to flex and grow her skillset as she and a fellow intern have tackled several projects. From creating a CDF informational brochure and developing weekly social media themes for Twitter, Facebook, and Instagram to finding ways to condense the policy work of the CDF into digestible and accessible visual media posts, Jakira has enjoyed the chance to do some creative problem solving with her team. Her efforts to grow their Instagram presence has even helped lead to the a jump from 18 to over 200 Instagram followers for the CDF! Jakira spoke about how challenging the research aspect of her work is (policy writing does not tend to be an easy read) but Kimberly, Jakira’s supervisor, pointed out that her efforts showed in the impressiveness of her work. Kimberly added how the communications team (which Jakira is a part of) has the unique challenge of needing to be well-versed in all the bills and policy the CDF is working on in order to effectively create their content. Media aside, Jakira shared how she feels she has not only gained relevant professional skills and experiences (like conference call set-up and working independently on the projects mentioned above) but also that being part of the Children’s Defense Fund has inspired her to be an overall more informed and civically-minded citizen. During their weekly “Brown Bag” professional development lunches, Jakira has learned from co-workers and partnered speakers about various policy issues the organization is interested in; from health coverage to voter turnout. She even helped in their texting campaign partnered with the Hispanic Federation that reminded roughly 30,000 New Yorkers to vote in the recent primaries. This is the Children’s Defense Fund’s 2nd year hosting a WISIP Intern and we are so grateful for their continued partnership and the intern experiences they provide! Jakira’s experience has been just what a WISIP Internship strives to be: professionally stimulating and personally enriching!